Computer science in Nigeria is considered by many of its practitioners to be a foundational science – one which makes other knowledge and achievements possible. The study of computer science involves systematically studying methodical processes (such as algorithms) in order to aid the acquisition, representation, processing, storage, communication of, and access to information. This is done by analyzing the feasibility, structure, expression and mechanization of these processes and how they relate to this information. In computer science, the term ‘information’ refers usually to information which is encoded in bits and bytes in computer memory. Programming is an interdisciplinary topic, incorporating elements from subjects such as mathematics, software engineering and linguistics. Programming language theory involves looking at the design, implementation, analysis, characterization and classification of programming languages and their individual features. Your introductory courses will teach you one or more programming languages. Knowledge of more than one will help you to better understand their individual strengths and weaknesses, which will in turn help you to better engage with the challenges addressed by programming language theory. 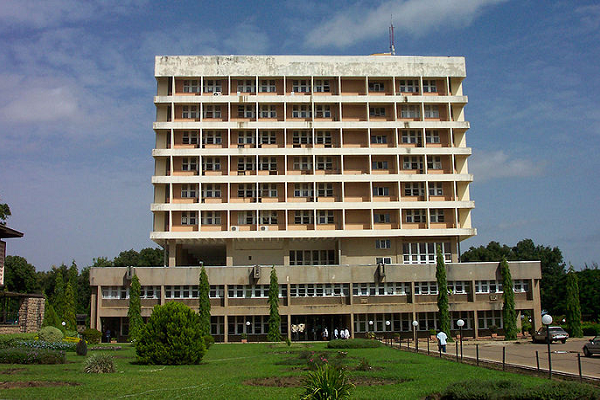 UYO – University of Uyo, Uyo. Computer science graduates can today work as part of technical or development teams handling a series of computer based development work. They can also work alone as self employed professionals in web development, online systems improvement and software development. Bank and Financial Institutions: The opportunities for graduates of computer science to manage the ICT section of financial institutions is on the increase with the recent rush for more electronic and computerized banking and financial services. Manufacturing: Opportunities also abound for computer science graduates in the manufacturing sectors processes become more automated and streamlined. Some of the prominent manufacturing industries where graduates of computer science can be employed include: Procter and Gamble (P&G) Nigeria Limited, Nestle Nigeria, PZ Cussons, Lafarge Cement and so on. ICT Education Organizations: there are opportunities for knowledgeable graduates of computer science as the need for wider knowledge and teaching of computer and ICT applications grow. Some ICT education organizations where computer science graduates can be gainfully employed include: New Horizons Nigeria, ApTech Nigeria, NIIT Nigeria, FirstLogic education learning and international certification centre and many more. Services Industry: Hotels and may other services based businesses are moving towards making towards making their processes quicker and more automated. Computer scientists are needed for this.